Next Table shows general information of the Top Alabama Colleges. Follow the link on each college name to see full tuition and financial information of the school. 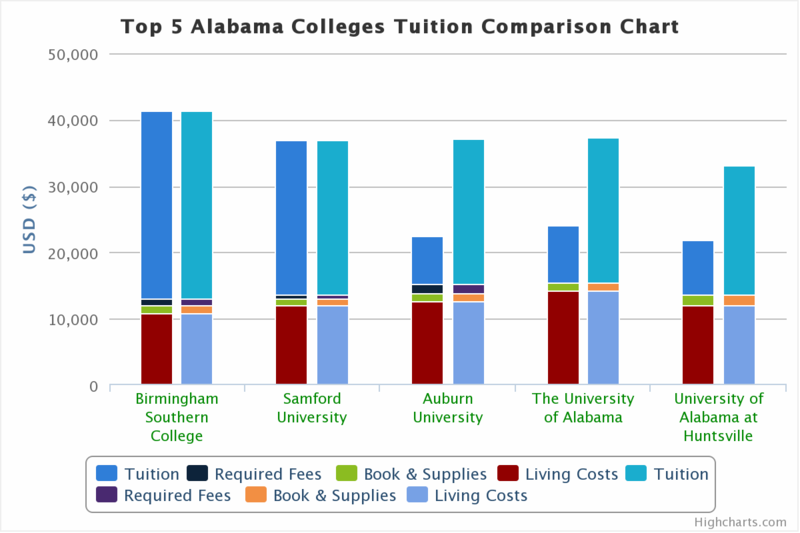 Next table and chart compares tuition and living costs for top 5 colleges in Alabama State. You can see detail information including tuition, fees, living costs, and financial aids of each school as following link on each college name. 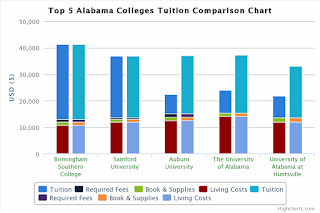 And Alabama Top 5 College Tuition comparison can be found at Top College Tuition in Alabama page.